The Minimum Support Price (MSP) for Fair Average Quality (FAQ) of raw jute has been increased to Rs3,950 per quintal for 2019-20 season from Rs3,700 per quintal in 2018-19 season. The MSP would yield returns of 55.81% over the all India weighted average cost of production. The MSP of raw jute is expected to ensure appropriate minimum prices to the farmers and step up investment in jute cultivation and thereby production and productivity in the country, the government official said. The Jute Corporation of India would continue to act as Central Nodal Agency to undertake price support operations at the MSP in the jute growing states. Ludlow Jute & Specialities, Cheviot will be in focus after the government's announcement. 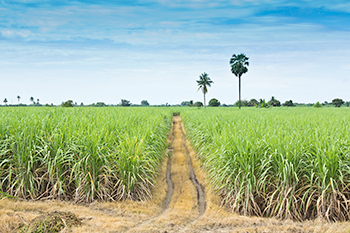 Further, sugar stocks like EID Parry, Balrampur Chini, Dhampur Sugar will be in focus in Thursday’s trade as media reports stated that in a meeting of CoS, a proposal was discussed to hike in MSP. Now it is fixed at Rs29/kg, which may increase upto Rs31/kg. On the other hand, sugar mills are not satisfied with the predicted hike upto Rs31/kg as they claim that their production cost goes beyond this. They are demanding hike in the MSP upto Rs35/kg. As per ISMA data, it was estimated that cane price arrears across the country had reached about Rs20,000cr at the end of January 2019.